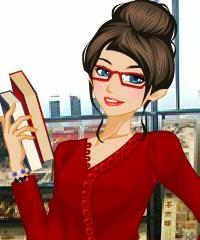 Dress up this cute librarian girl. She loves her job and she is not afraid to try out new styles. You can choose so beautiful hairstyles for her as well. Have fun playing this game online.